What gives your store an edge and make it stand out? Have you asked yourself this question before? If not, it’s time to think about it in depth. It will be a great start to help you run your grocery store. The market is increasingly competitive but finding your spot and claiming it is the only way for your business to thrive. Laden with uncertainty and facing fierce competition, how do you make your stand? Here are secrets to help your grocery store thrive today. Being a business owner means that you need to know who your target clients are; this is to help you tailor your messages to them. For instance, if your business caters to families and young couples, your notes should appeal to them. The wrong approach could cost you, clients. People often get pulled in by-products that represent more than just what they see. For instance, a story about how the product came to be or facts about where the product is from could spark conversations among your clients. It also gives the product more importance. Subsequently, the product’s popularity and demand rise. Millennialism is the wave that every business has to ride and you can either stay above or drown. Your grocery store will only thrive if you remain relevant to the time. Don’t stubbornly choose to stay in the ’70s while the rest of the world has moved on to the ’80s and ’90s. Shopping for many people today means that they can order products from the comfort of their homes. If your store offers clients an online shopping option, you have a better chance at growth than stores stuck in traditional ways. Besides offering an online option, consider delivery services as well since most people want everything brought to their doorstep. Your team should be the ambassadors of your store, and they contribute to the success or downfall of your grocery store. First, ensure that all employees know about your products and can assist clients. Second, all your employees should respectively and warmly engage with clients for better customer experience for your clients. Never bite more than you can chew. Your list will often help you know how much you sell and need of each product. That will help you have a manageable stock that won’t go bad as you still try to pass it off as fresh. To help you manage better, invest in a POS system such as https://toppossystem.com/grocery-store-pos-system/. No one ever shied away from a good deal, therefore, if you want to reel in clients into your store, offer them deals they can’t refuse. Run promotions where you gift clients and appreciate their loyalty to your store. It is effortless to miss this but most people won’t. Did you know that your store layout could put off clients? A haphazard design represents a disorganized business which cannot be trusted. Furthermore, your grocery store should be an experience for clients, not a chaotic marketplace. 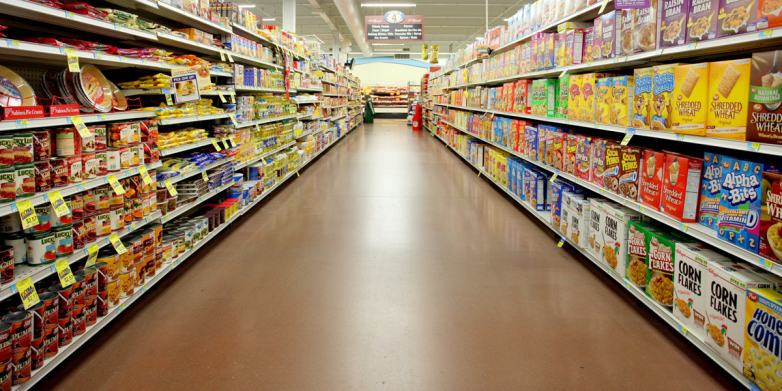 It is imperative that your store is a clean environment with clean and fresh products. The state your store is in every day determines how willing clients will be to return to your store. Remember, you need repeat-clients to thrive. A grocery store might seem like a simple small business, but it is a vital place in every community. Run your grocery store for the people around you and watch it grow.